Hnggg...I'm too lazy to write long post. I'm getting really busy with my current job and part-time job as Xbox360 updater. I'm not getting enough sleep. Also Persona 4 The Animation is already out and at episode 4. 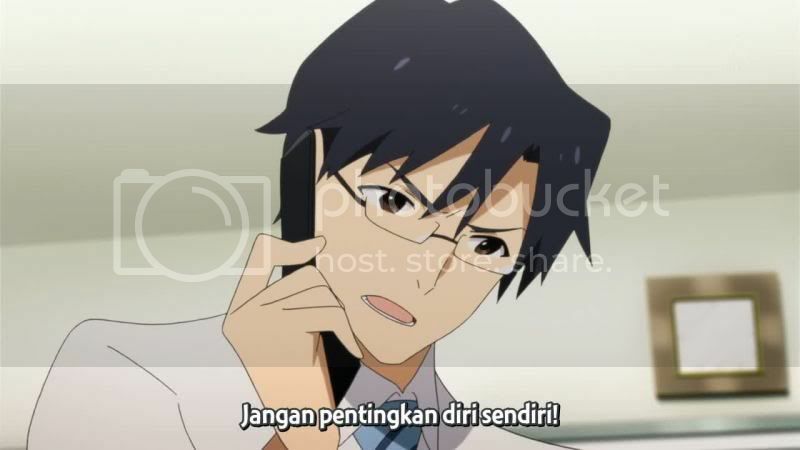 I will translate this anime to Bahasa Melayu. Even though it will be very late. OK, The Idolm@ster episode 12 is the continuation of the previous episode, where Miki is quitting after she founds out that she can't enter Ryuuguu Komachi. Let's see how Mr.Producer tries to win her heart back. Extra Note: Kamo (duck) sensei first appearance is actually in the game The Idolm@ster Dearly Stars (Nintendo DS). 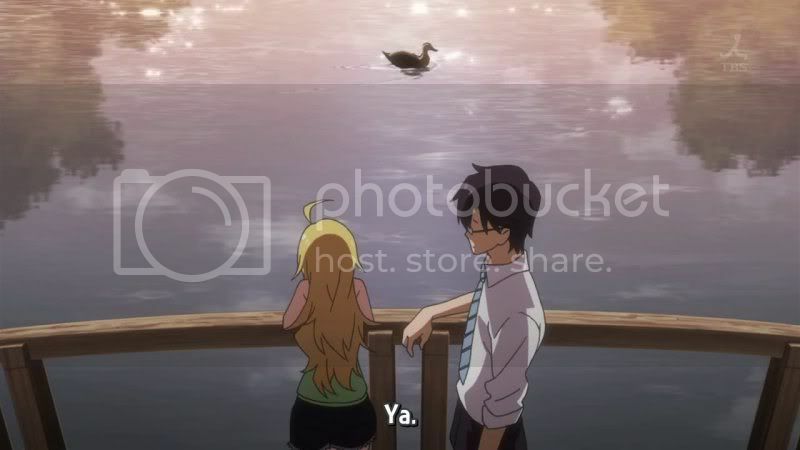 Ryo Akizuki met with Miki on the same bridge as the anime where Miki told him about duck sensei. Miki didn't told him her name or who she really was at that time. It was Yumeko (Ryo's rival/girlfriend) who told Ryo that Miki was a super idol and his rival at the next audition. Wait, why I'm writing a post about Bahasa Melayu sub in English? Sudah update. Sila download semula part1 dan part2. Hanya ada 2 part.